We can help you increase your advertising potential ten fold as well as showing your staff that their long hard word hasn't gone unnoticed by presenting them with one of our Crystal Awards Freebies. Our Crystal Awards Freebies are different shapes and sized awards that can be printed or engraved to your specifications. To find out more about our Crystal Awards Freebies click here and fill in the contact form and we'll get straight back to you. 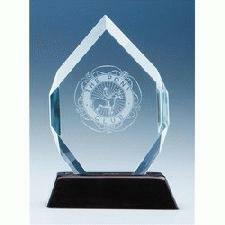 Other promotional and personalised items besides our Crystal Awards Freebies click here.